Fourteen very wooded holes and four open ones. A championship caliber course - demanding fairways with tough thick rough. A variety of straight, right and left curving holes. Several difficult par fours. **Dec2017: holes 3, 4, 11, 13, 14, 15, 16 have the basket and/or tee missing due to nearby construction, also hole #6 tee may be missing. From I-65; Exit 26, right to US-31W/Nashville Rd/Louisville Rd. Left on US-31W to a right on University Blvd to a left on Russellville Rd to a slight right onto US-231/Morgantown Rd. to the parking lot next to Fire Department buildings - across the street from a Minit Mart gas station. 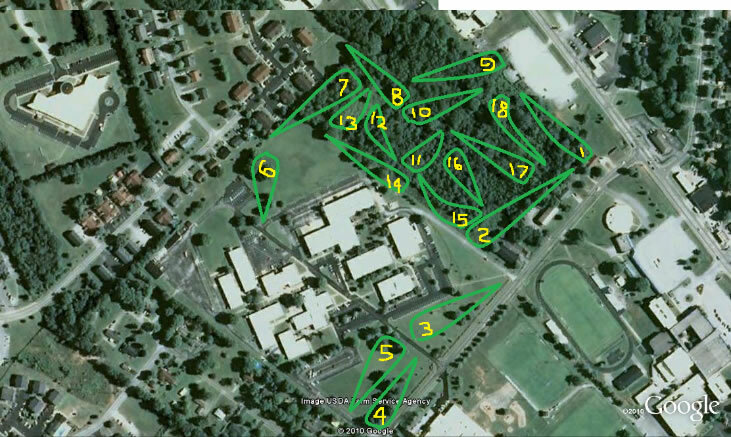 Have you played at SKYCTC Disc Golf Course? Be the first person to review this course!